Happy 4th Birthday "Officer" Josiah! 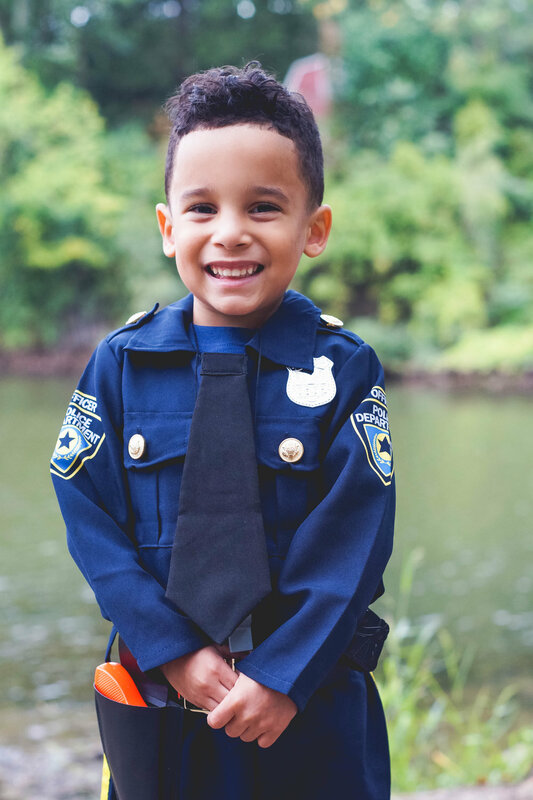 This handsome little guy is celebrating his 4th birthday, and what better way to celebrate his gift of life, then dressed up as his favorite hero, a Police Officer. I had the privilege to be a part of this special photoshoot at Coe Lake, in Berea, OH, and was honored when the local Berea officers kindly accepted a quick meet and greet with Siah, and brought him a bag of goodies. To say that his day was made is an understatement. Josiah was so excited to meet them and even thanked them for their service. He told them, "when I grow up, I want to be a policeman just like you, to protect and serve". What a precious experience! His mother Aileen, is so proud of her little miracle son. Capturing these moments is something I will always treasure, and I can't wait to look back to many years from now when my nephew becomes a policeman himself. I even got to design his Birthday Invitation, it was so fun! Happy Birthday, Siah, we love you! Newer PostMaria's Field of Hope!